We know for sure that there is no such thing as one size fits all when it comes to remediating an incorrect pencil grip. When do you use the Start Right Pencil Grip, when do you use the CLAW and when is the Stetro or Crossover the best? Is there a checklist, a magic formula to choose the correct pencil grip? Like so many aspects of the developmental challenges I have faced over the years, I wish there was a magic formula. I wish there was a set of guidelines to follow to choose the best pencil grip for each child. But, at the end of the day, your best option is really to try them all and see which is a good fit. Which grip facilitates the optional position of the fingers, and which one promotes the emergence of the finger movements during handwriting? While trying them out is still your best option, there certainly are pointers as to when the Start Right is the grip to try. 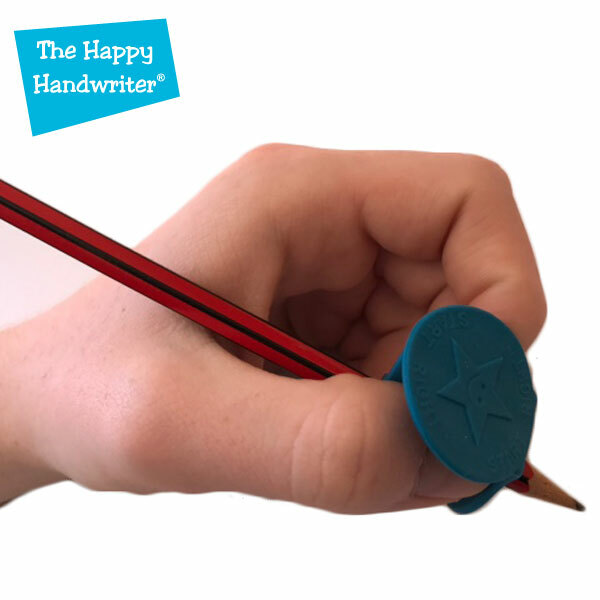 The Start Right Pencil Grip was designed and developed by an occupational therapist. It is most certainly one of the grips I would try when confronted with a child with a hyperextended thumb. As I have discussed in a previous post, the hyperextended thumb, is a thumb that is locked into a static position like a banana. As soon as the thumb is unable to achieve movement at its joint, the finger movements necessary for speed and a legible handwriting script are blocked off. This will result in the child achieving the primary movement for handwriting either from their wrist, or even the whole arm. Big movements are inefficient and tiring. They also don’t allow for a beautiful, legible script. The Start Right Pencil Grip is a great grip for remediating the hyperextended thumb because the disc on the top forces the thumb into the bent or flexed position. With this change in finger position, we frequently see the immediate emergence of the discrete refined finger movements. 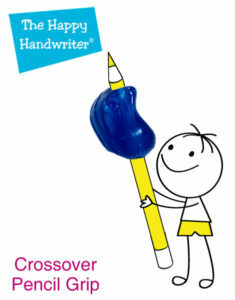 And, it is with these finger movements, that we see an improvement in speed and quality of handwriting. I also like the fact that the thumb and index fingers have to hold onto the stem of the grip. This is unlike some of the other grips where the children just pop their fingers into the indentations or behind the flaps, and there they stay. They may be getting the correct position but they are not having to work so hard. 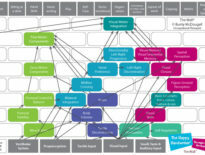 For me the most critical factor in all of this is that we analyse what we are seeing. We need to analyse what the child is doing initially, and how this changes with the different grips. If the child wasn’t achieving finger movement without a grip and the Start Right facilitates the emergence of these movements, then this grip is certainly one to consider. My only reservation of the Start Right Grip is that it is rather big. You do need to watch out for little hands that the grip isn’t too big and overwhelming, or blocks their ability to see what they are writing. If this is the case they are going to make some other positional adaptation, and you may find that while you have the correct grip, you have sacrificed some other critical aspect of hand position. Oh, and there is a second. While I am the master of placing pencil grips onto each of the children’s twisty retractable wax crayons, even I cannot get this grip on a twisty! So, the Start Right grip is definitely the one for pencil crayons and pencils. The grip in the picture is the perfect grip for this child. His thumb is instantly repositioned, and the position is retained. He complained that the inner palm of his hand was starting to ache after he had written with it for a while. This is because his in-hand muscles had never really worked before. So, together with some exercises to develop in-hand manipulation, this was the perfect grip for him. As I always say, pencil grips cannot, and must not be used in isolation. When I first started working in this field 30 years ago, that is exactly want I did. I gave the child a pencil grip and expected that all would be well. But it often didn’t work. The reason for this was that they needed specific muscle development to go hand-in-hand with the grip. Just as our boy in the pictures had never developed the deep muscles in his hand, neither had the other children. 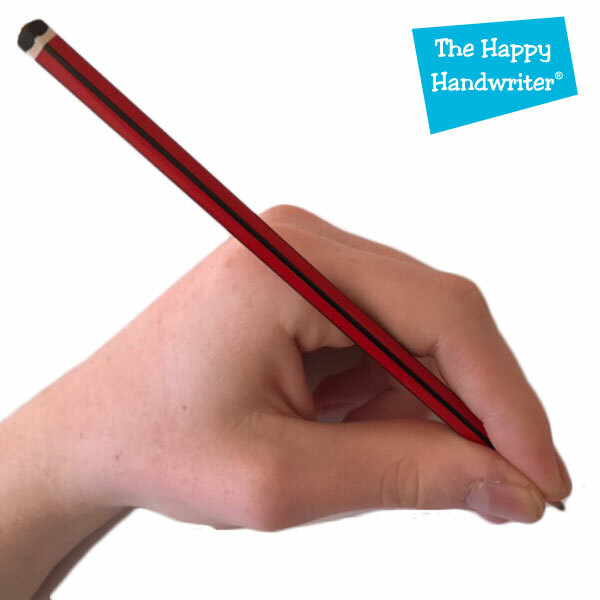 By providing activities to improve pencil grip and associated muscles and movement patterns, you are ensuring that together with the grip, you are promoting both muscle development and the correct finger position. It is the combination of the two of these that is going to bring about the most effective changes. This graphic that shows the development to pencil grip, reminds us that pencil grip is right near the top. We cannot forget to develop the foundational building blocks to get there. A child with a pencil grip who needs remediation has, almost certainly, missed out on some of these foundations along the way. I believe that every therapist, teacher or person working in this field needs one of each grip in their tool box! Our Assorted Pack is for you! Try them all and then, once you have found the best pencil grips for handwriting, you can go on to get a few of your chosen grip. A pencil grip gone wrong is a tricky thing to change because the grip pattern becomes “hard-wired” in the position. 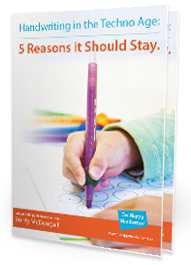 To accommodate this, you are going to need to have a few of your chosen grip for each of your child’s writing tools, so each time they pick up their writing tool, it is in the optimal position.